There is one thing that nearly everyone in the world agrees upon: All throughout the world, on every continent where they can be found, in every nation, state, city, town, and village, people detest cockroaches. 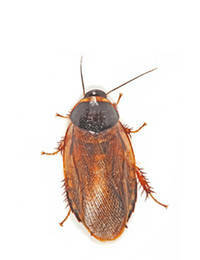 Cockroaches threaten human health because they transmit or aggravate many serious diseases, including Salmonella, E. Coli, food poisoning, asthma, and Hepatitis E, diarrhea, and dysentery. 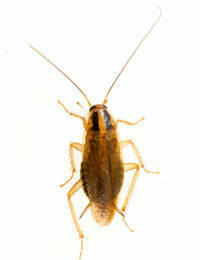 Roaches, shed their skins, and their droppings contaminate hundreds of thousands of pounds of stored food every year. Roaches are one of the most difficult pests to eradicate, due to their adaptability, their ability to quickly become resistant to insecticides, and their prolific reproductive habits. 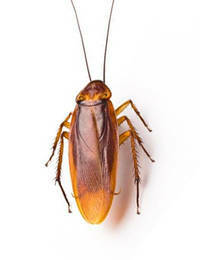 There are thousands of species of cockroaches, but only four species are common household pests. Cockroach behavior varies by specie, but the following characteristics are generally true. 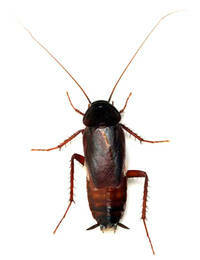 Cockroaches tend to live in close proximity to each other, but they are not social insects. They have no social structure or division of labor, and they do nothing to care for their young other than to deposit their eggs in areas close to food, water, and harborage. All cockroaches develop through incomplete metamorphosis. Adult females deposit their oothecae, or egg sacks, in an area favorable to the development of the young. Immature cockroaches emerge from their eggs as nymphs, who look very much like adults except for their smaller size and lack of wings. The nymphs develop through a series of molts, with the stages between molts known as "instars." There is no pupal stage. The time span between hatching and reaching reproductive age can be as little as two to three months. As adults, cockroaches can live as long as a year under ideal circumstances (although three to six months is probably more typical). Cockroaches is among the most prolific insects in the world. Their rapid reproduction is one of the reasons why a single pregnant cockroach carried home in a grocery bag really can explode into a major infestation in almost no time at all. A German cockroach in an average environment, with sufficient food, warmth, moisture, and harborage, lives for about three or four months, on average. During this time, a female will produce 4 to 6 oothecae, with each ootheca containing between 30 and 40 eggs. This makes for an average reproductive potential of between 120 - 240 live offspring during her lifetime. German cockroach nymphs reach sexual maturity in about 8 to 12 weeks under favorable conditions. So factoring in the reproductive potential of her offspring, a single female German cockroach (or even a single ootheca) brought into a home can swell to an infestation of hundreds or thousands of roaches in the course of a year. 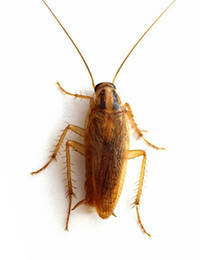 There are several thousand species of cockroaches, but these four species account for the bulk of interior cockroach infestation & Surinam Cockroach known as Garden Cockroach, in the United Arab Emirates.